The police investigate the robberies suffered in the homes of Joaquín Sánchez and William Carvalho , players of Real Betis , during the night of last Saturday, while playing the derby that his team lost against Sevilla FC at the Ramón Sánchez-Pizjuán stadium (3- two). In the case of Joaquín Sánchez, the investigation is being carried out by the Judicial Police of the Sevillian town of Mairena del Aljarafe , where the player resides, while that of his companion William Carvalho, who lives in an urbanization of the neighboring town of Beds , is in charge of the National Police, informed police sources. 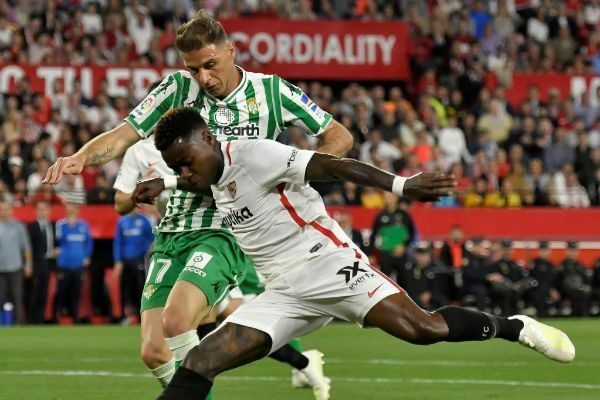 The events occurred during the dispute of the meeting of maximum rivalry between Sevilla and Betis, last Saturday , and Joaquín himself found out in the same Sevilla stadium what had happened, as confirmed by sources close to the player. The thieves entered his house in the town of Mairena del Aljarafe, where neither the woman nor the daughters of the soccer player were , after knocking down a door, but immediately the alarm was activated and the thieves did not have time to take anything important . It is not the first time that Joaquín or his family suffered a mishap of this type, since his wife was the victim of a robbery in a street in Marbella (Málaga) while walking with her mother and two daughters, in September 2018.